The Cancer Genome Atlas (TCGA) is an integrated network of clinical sites, core resources and specialized genome characterization and genome sequencing centers that work together to accelerate our understanding of the molecular basis of cancer. The TCGA was launched in December 2005 as a pilot program to determine the feasibility of a large-scale effort to systematically explore genomic changes in all types of human cancer . TCGA utilizes genome analysis technologies to catalog and discover major cancer causing genome alterations in large groups of human tumors through integrated multi-dimensional analyses. 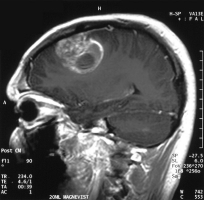 Glioblastoma is the first type of cancer to be studied in the TCGA pilot. Neurofibromatosis type 1 (NF1), the tumor suppressor responsible for the peripheral nerve disorder neurofibromatosis type 1. Avian erythroblastic leukemia viral oncogene homolog 2 (ERBB2), a gene that functions as a co-receptor for connective tissue-derived growth factors and is frequently amplified in breast cancer. Phosphatidylinositol 3-kinase, regulatory subunit 1 (PIK3R1), a gene that influences the activity of an enzyme called PI3 kinase, which regulates cell proliferation and survival. Researchers then mapped the sequencing data with additional genome characterization information onto major biological pathways and identified a highly interconnected network of alterations. By copy number data alone, three critical biological signaling pathways were identified: the Receptor Tyrosine Kinase/Ras/Phosphatidylinositol 3-Kinase pathway (a.k.a. RTK/Ras/PI3K pathway), which controls cell proliferation, cell survival and RNA translation; the p53 signaling pathway, which controls senescence (aging) and apoptosis (cell death); and the Retinoblastoma (RB) signaling pathway, which controls cell cycle progression and cell division. In a given tumor sample, it was likely that there was at least one aberrant gene from each of the three pathways. In fact, 74% of the samples had mutations in all three pathways, suggesting that deregulation of the three pathways is a requirement for glioblastoma pathogenesis. Oncologists already know glioblastomas that have a methylated MGMT gene (DNA methylation reduces gene expression) respond better to temozolomide, an alkylating chemotherapy drug that is the current standard of care for glioblastoma patients. By integrating methylation data, somatic mutation data and clinical treatment data, scientists identified a relationship between MGMT methylation and a hypermutator phenotype described previously . In patients with MGMT methylation, temozolomide treatment introduces a strong selective pressure to mutate genes that are essential for DNA repair. Thus, patients who initially respond to temozolomide may evolve not only treatment resistance but also a hypermutator phenotype (since DNA repair genes have been mutated). Future selective therapies may therefore require targeting both DNA-repair-deficient cells and an alkylating agent. These impressive results from TCGA provide the most comprehensive view to date of the complicated genomic landscape of this deadly cancer. The more we learn about the molecular basis of glioblastoma, the more swiftly we can develop better ways of helping patients with this terrible disease. Clearly, it is time to move ahead and apply the power of large-scale, genomic research to many other types of cancer. The power of this study lies in the statistically robust number of samples evaluated, allowing for the identification of molecular subtypes that may otherwise be undetectable. Additionally, multiple technologies were employed to identify genomic copy number alterations, which were used to validate the results from any one platform. These approaches highlight the power of comprehensive integrative analyses. This is an excellent example of how current genome characterization technologies can systematically explore the universe of genomic changes involved in cancer. The TCGA is also studying lung and ovarian cancer. Mischel and Cloughesy. Targeted molecular therapy of GBM. Brain Pathol. 2003 Jan;13(1):52-61. Mischel et al. Molecular analysis of glioblastoma: pathway profiling and its implications for patient therapy. Cancer Biol Ther. 2003 May-Jun;2(3):242-7. Liang et al. Gene expression profiling reveals molecularly and clinically distinct subtypes of glioblastoma multiforme. Proc Natl Acad Sci U S A. 2005 Apr 19;102(16):5814-9. Epub 2005 Apr 12. NIH Launches Comprehensive Effort to Explore Cancer Genomics. National Cancer Institute Office of Media Relations press release. 2005 Dec 13. Cahill et al. Loss of the mismatch repair protein MSH6 in human glioblastomas is associated with tumor progression during temozolomide treatment. Clin Cancer Res. 2007 Apr 1;13(7):2038-45. The Cancer Genome Atlas Reports First Results of Comprehensive Study of Brain Tumors: Large-Scale Effort Identifies New Genetic Mutations, Core Pathways. National Cancer Institute Office of Media Relations press release. 2008 Sept 4.